What you can and cannot do when camping with kids depends on the age of your offspring, as each age brings unique experiences, joys, and challenges. For example, having preschooler’s means long hikes are out, but you don’t have to change diapers anymore. Babies are portable and can be nicely packed away, but can crawl into everything if left on their own. Strangely enough, few books on pregnancy touch on the topic of camping while pregnant. Each woman experiences pregnancy differently; some breeze through it while others have a hell of a time. I had many good nights sleeping in a tent when I was eight months pregnant and would say that if you're feeling up to it, do it. 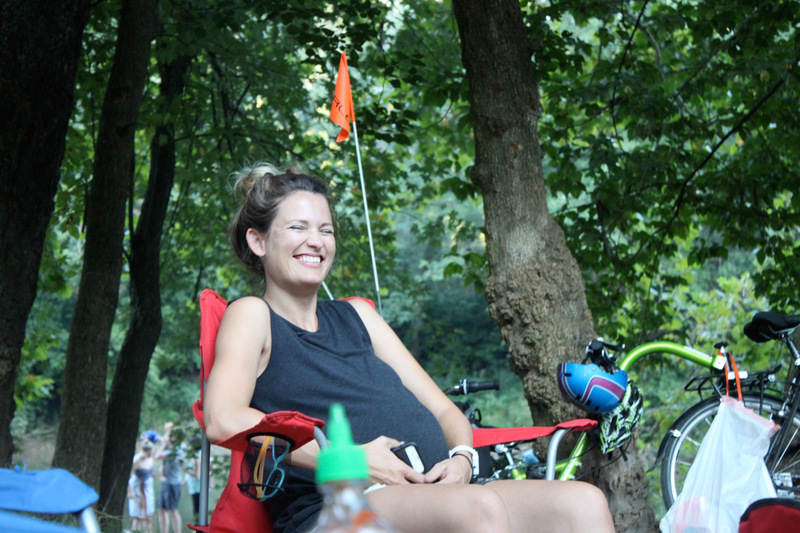 The only problem I had camping while I was pregnant was the number of bathroom trips I had to make in the middle of the night, which meant squatting while balancing an extra 30 pounds in front. Toppling over and trying to right yourself, semi-naked in the dark at 2:00 a.m., does make you realize why heavily pregnant women may wish to think twice about camping, or at least opt for the campsite nearest to the toilet. Remember also to pack plenty of pillows to support the bump if you're sleeping in a tent. If your baby is not yet a crawler, camping is easy. Okay, you do have to take more stuff, but you can leave the baby happily goo-gooing in the car seat on the picnic table while you erect the tent. A playpen can be used as a crib, and a mosquito net can be easily laid over the top, should bugs be a problem. Camping with toddlers, however, is another matter. This age can be the most challenging because of all the equipment they require, their need for diapers, and their propensity to put everything in their mouths. The great outdoors, replete with animals, rocks, stones, water, dirt, vegetation, and insects, can't be childproofed as easily as can your home. I believe the secret to camping with toddlers is being relaxed about it. So they don't have a wash before going to bed, or they sleep in the clothes they've been in all day, or they delight in treading on the ants and poking the banana slugs with pine cones; let them do it. The biggest problem I found while tent camping with toddlers was in their early-morning waking. The dawn arrives and their excitement over seeing you sleeping next to them stimulates their delight and curiosity; so you get up at 5:30 a.m. and experience the campground at a time few others will. Afternoon naps may also be a challenge if you try to get them to sleep in the unfamiliar tent. A better option is a gentle push in the stroller around the campground's roads, especially if these are gravel—an almost surefire way to send them to sleep. If you want to read more article about hunting then go to this website Best Arrow Rest. Most of the difficulties of this text-based experience are, of course, avoided by camping in a recreational vehicle (RV), camper, tent trailer, or towing trailer. If there is ever a time when you get rid of the tent and choose an RV, it is at this age (see "How to Camp"). On the plus side, kids of this age are still quite portable, so you can hike with them in a backpack—something that is not an option with the preschooler. Camping with this age group also means you can vacation in May, June, or September and avoid the crowds and the added expense. Make the most of it and remember to teach diem your campsite number upon arrival, well as basic safety information (see "Camping Safely"). Also remember to pack fishing nets, water shoes, and plastic toys. 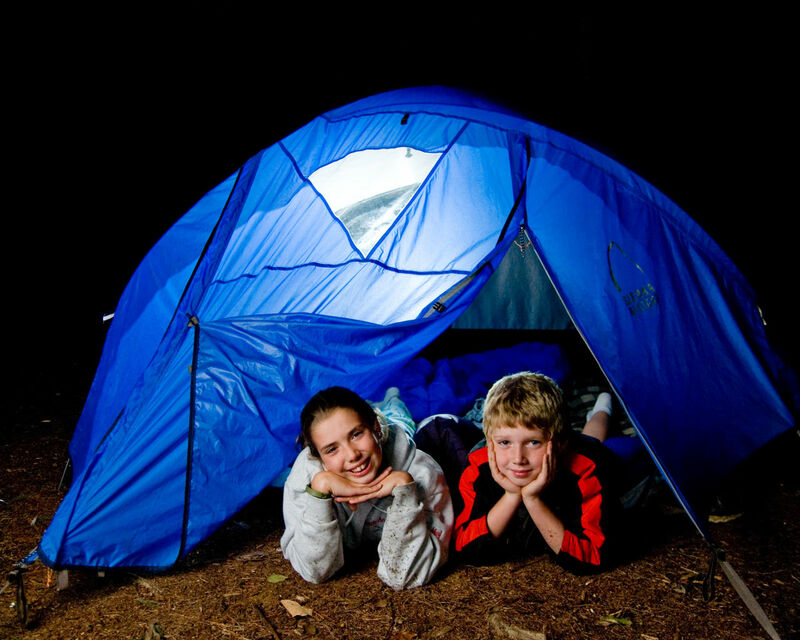 By setting boundaries and following a few simple rules, children this age will learn to love the camping experience. Provincial and national parks provide wonderful safe environments for children to explore by themselves. Parents do not have to worry about unsafe roads and fast drivers, video arcades, or TV. 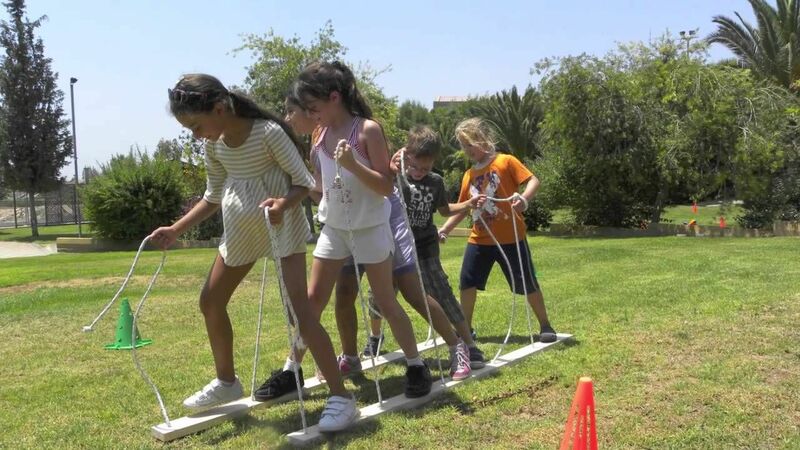 Children can gain some independence by learning and exploring safely on their own. Parks are fantastic for cycling, rollerblading, swimming, and exploring with new-found friends, or with friends brought from home. Remember their board games, crayons, sidewalk chalk, balls, bikes, rollerblades, and books, and they will be sure to entertain themselves. The big disadvantage for this age group is the restriction of having to camp during school holidays and weekends when parks are most crowded. A little planning ahead helps a lot, though; these are the times when you really appreciate the reservation system (see "Reservations").